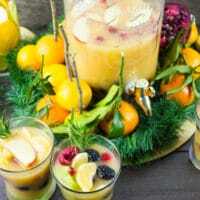 Learn how to make the best Non-Alcoholic Sangria using my step-by-step guide and serve this easy holiday cocktail with my Orange Salmon Bites for a showstopping Holiday Party! It’s the time for staying in, time for warm cozy food and drinks, time for a simple, sweet winter holiday party! 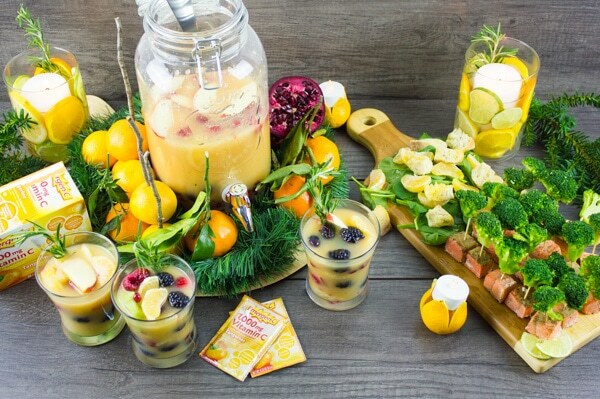 All you need is this Fruity Non-Alcoholic Sangria and my Broccoli Orange Salmon Bites to make your Christmas Party a huge success! 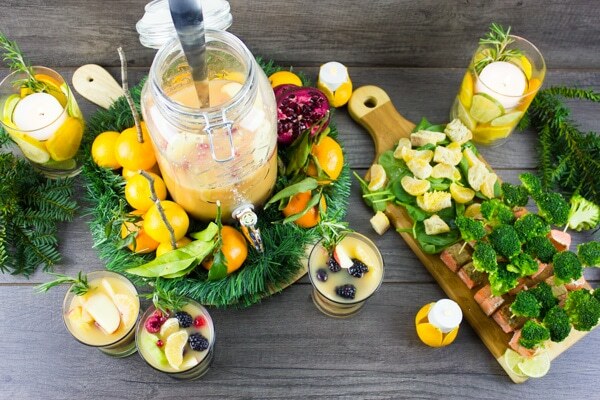 The whole party set up including Non-Alcoholic Sangria and Salmon Bites can be prepared hours ahead of time—so you’ve got all the time to relax and enjoy! 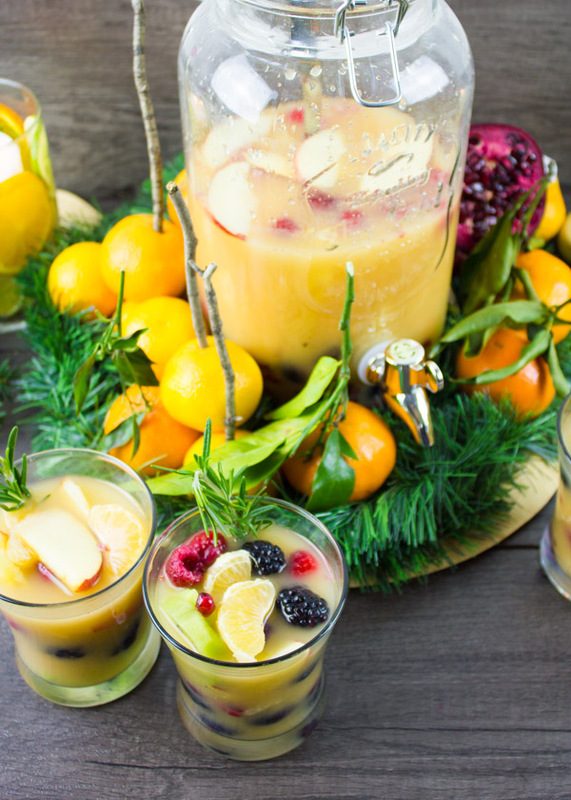 Let’s start with the all-time holiday cocktail classic—Sangria. I’ve made this Non-Alcoholic Sangria ultra hydrating and super refreshing to get me through this Holiday rush! So not only is it loaded with plenty, and I mean PLENTY of fresh fruits and berries, it’s also totally non-alcoholic, and it’s made with a SECRET ingredient! I’ve made it using Emergen-C 🙂 It’s like packed with Vitamin B. I make it part of my healthy lifestyle so I feel replenished and fortified when I need to. You can swap it for a freshly squeezed orange. Let’s start with our show-stopping sangria drink. 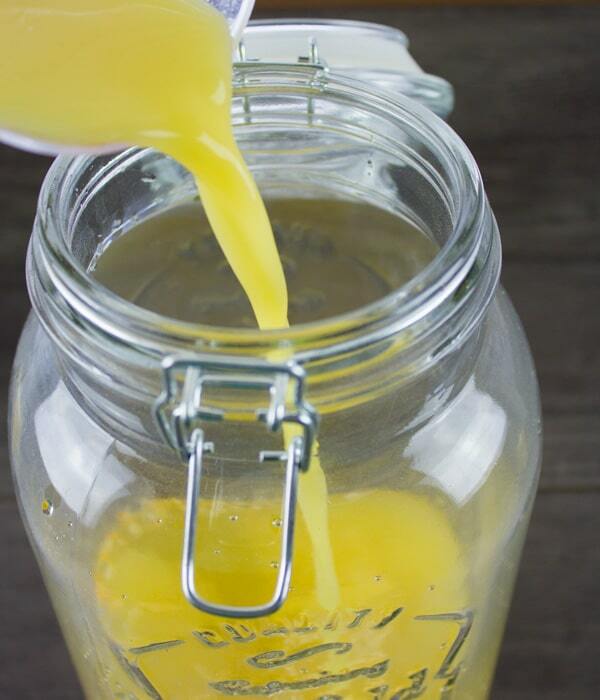 It’s based on tangerine Emergen-C, and to that I, add some water (you can add regular or fizzy water here) fresh pineapple juice (you can add orange, mango..or your favorite fresh no sugar added juice) and a dash of pomegranate juice. At this point, my non-alcoholic sangria drink is ready for some fruits. 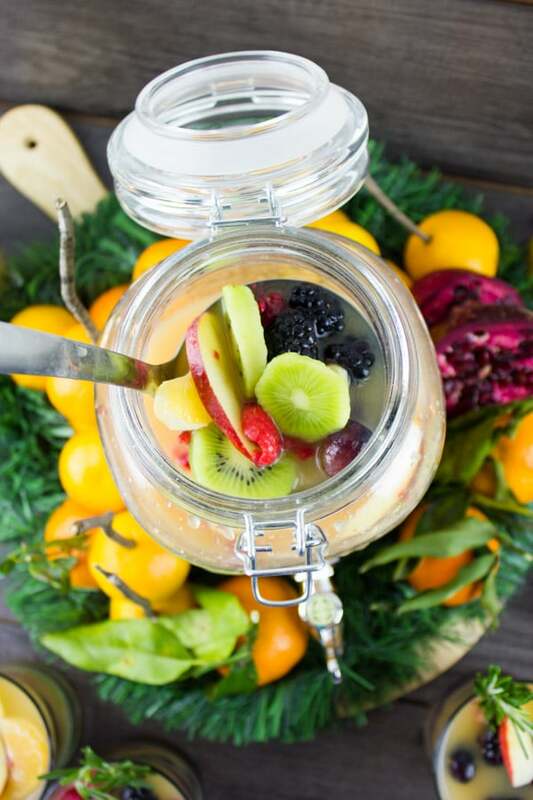 The sky’s the limit —I added fresh sliced apples, tangerine pieces, fresh blackberries, raspberries, pomegranate arils, grapes and kiwi slices. 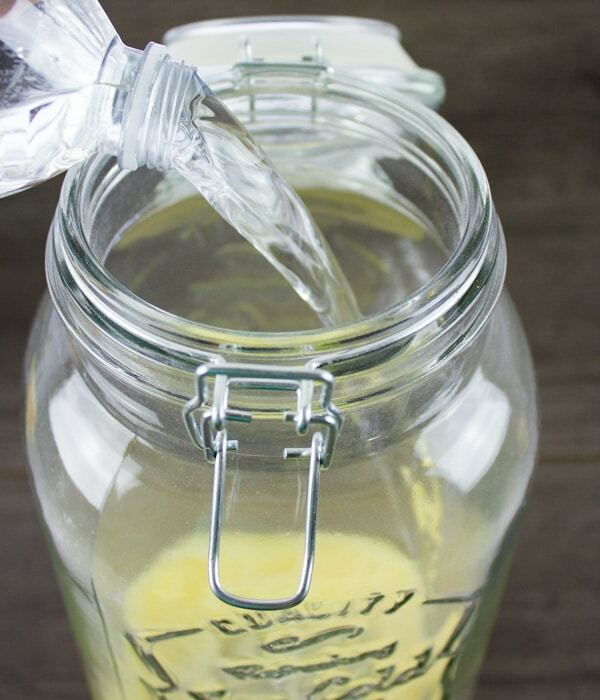 A load of freshness and goodness that’s delicious, hydrating and replenishing—SO good for you! The non-alcoholic sangria drink is ready for serving right away, or ready to be stored in the fridge for a day until you need it. 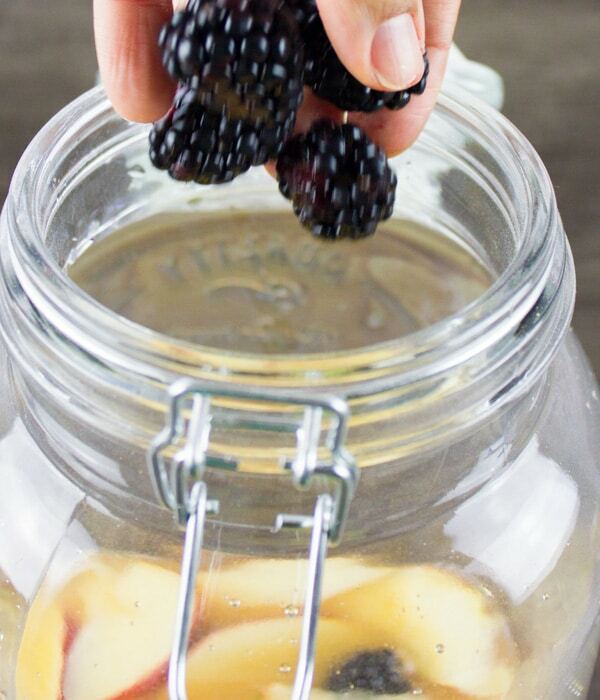 Just remember to always give your sangria a mix before serving to get the fruits swirled evenly into each cup. I love serving my non-alcoholic sangria with a fresh sprig of rosemary—I feel it’s the perfect addition to the tangerine-pineapple sweetness of the sangria. Now let’s quickly talk about the salmon bites. Salmon pairs so well with citrus, so it was my choice. I chose some frozen wild caught salmon because it’s richer in omega-3 and better for you. I love cutting my salmon while it’s still semi-frozen (much easier to get perfectly shaped cubes) and then simply season it with salt pepper, oregano, tangerine juice, olive oil and into the broiler they go (on a foil lined baking sheet). They’re ready when they turn opaque and at that point, I just skewered them with a piece of broccoli, using a toothpick. 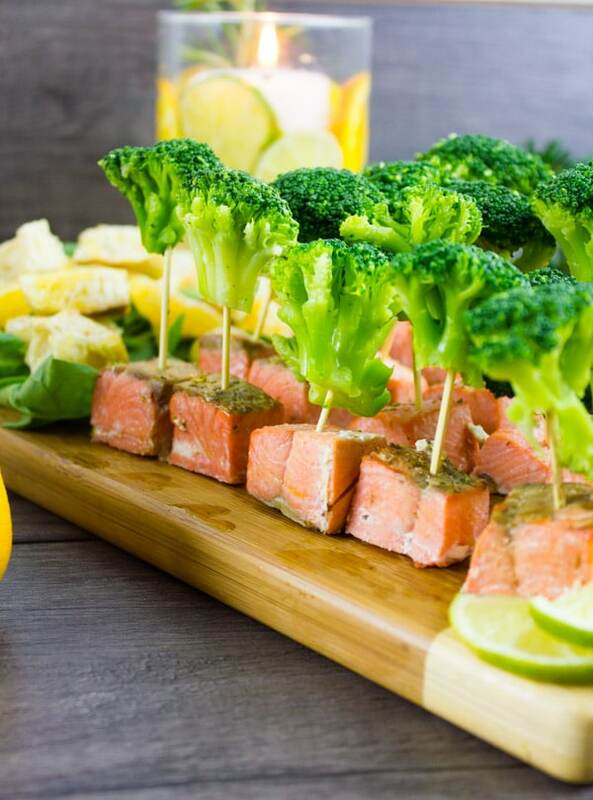 If you want to give your broccoli salmon bites an extra burst of flavor, take 2 tablespoons of our non-alcoholic sangria (without fruits), add salt, pepper, oregano and olive oil, and then drizzle that sauce over the salmon. This is totally optional, but it does give extra flavor! So for the gorgeous candle centrepieces. 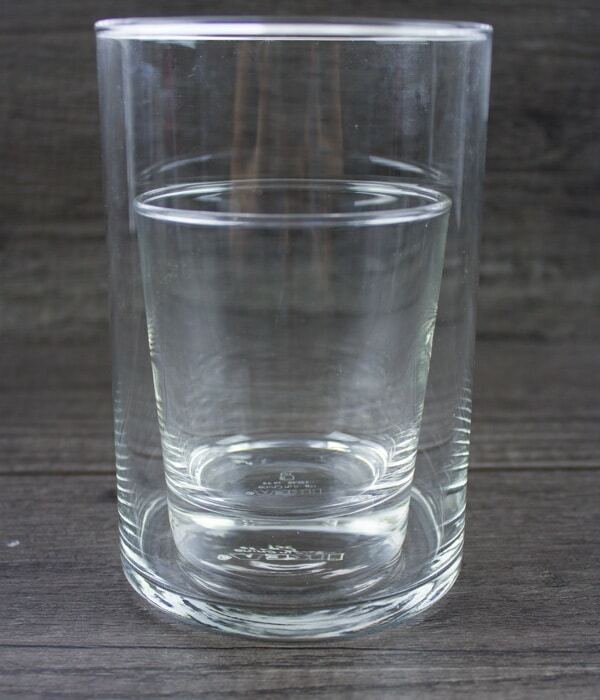 Let’s start with the glass and candle ones. 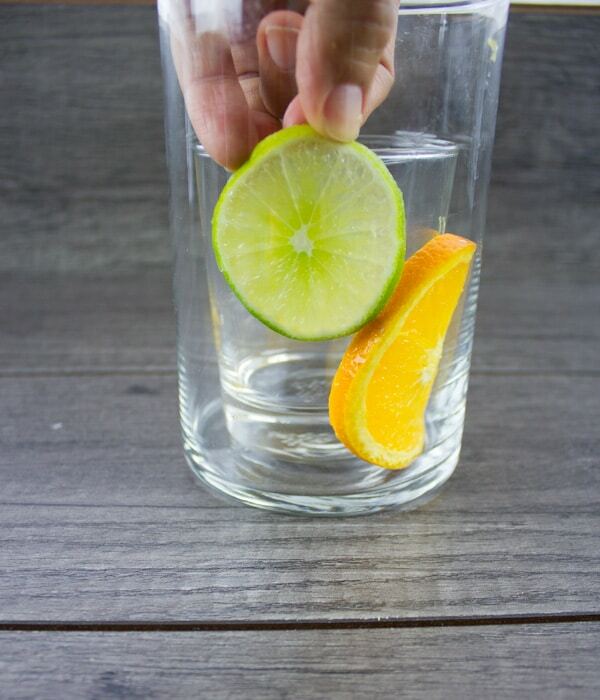 The trick to have those neat oranges, lime and lemon slices stick to the glass like they are, is to use TWO glass cups/vases. One of them has to be smaller and has to fit comfortably into the other (with an eighth-inch clearance all around—this clearance is where the slices will fit in). 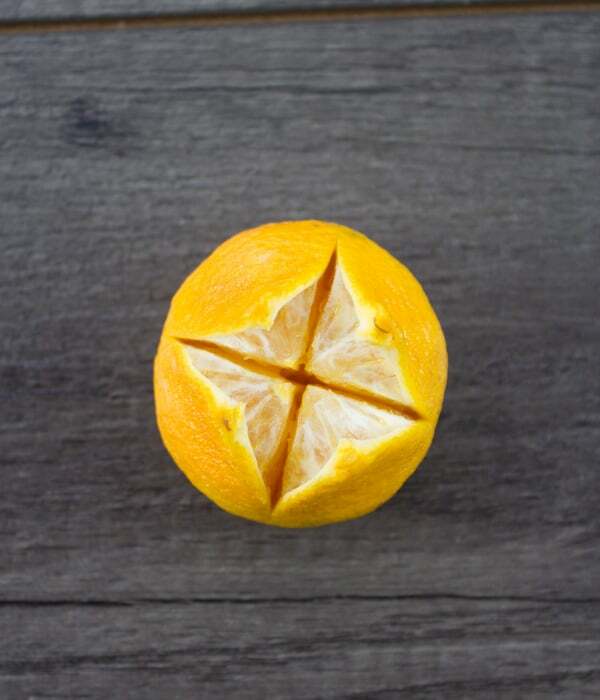 So you’ll place the small cup into the larger one, and start arranging your citrus fruit slices in the gap between both cups, arranging them in whatever pattern you prefer. 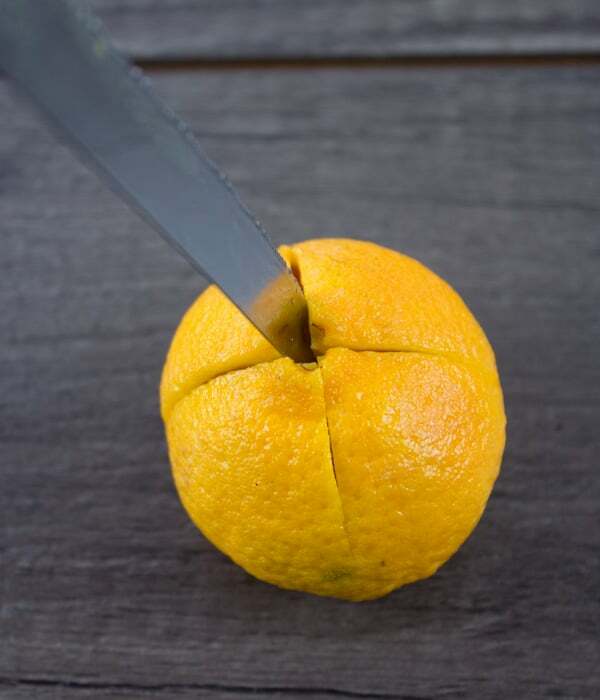 Another tip is to slice your citrus fruit as thinly as you can (at least thin enough to fit the clearance space between the two glass containers). I love alternating colors of lime, lemon and orange and then I just keep building it up until I’ve reached the height limit. I also love adding a rosemary sprig to the one side of the cup (squeezing it with the citrus slices) for a bright green look. Then I place a nice big candle in the middle of the small cup and it’s ready! You can fill with water instead of the candle, or flowers, or more whole citrus fruits, or just green plants..it’s a totally versatile easy centrepiece and a really gorgeous looking one as well. I chose the candles today because it feels like a nice winter cozy accent to my mood. Another simple centrepiece I’ve made is the small candle in the tangerine. Simply take a knife and cut the tangerine tops into a cross, going about a third of the way deep in to the tangerine. Then when you peel off the top peel (which you’ve cut through with the knife) you’ll see like a small slot perfect to fit it in a small tea candle. I’ve used the battery ones not real candles here just to avoid replacing it through the party. I hope these simple yet gorgeous ideas inspire you to make yourself a nice cozy table set up this Holiday season and adjust them for all seasons. I found that leftovers of non-alcoholic sangria make an amazing milkshake when blended with some coconut milk, regular milk or vanilla yogurt! Absolutely delicious! 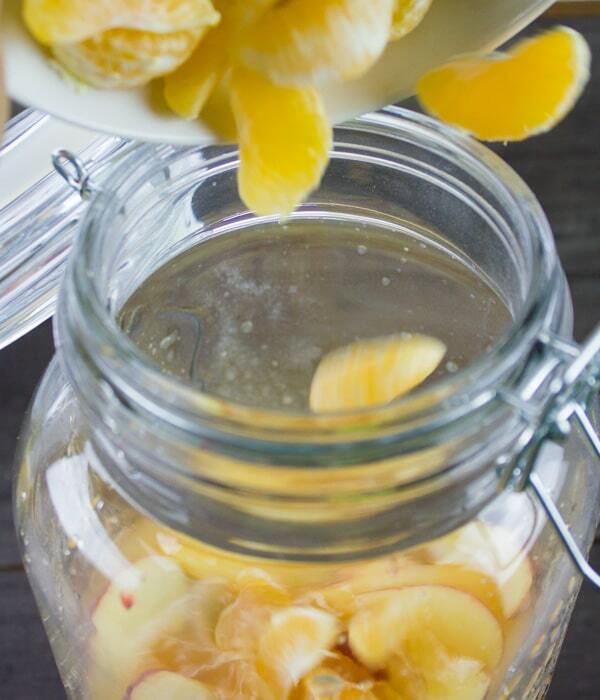 Instead of Emergen-C, substitute the water in the sangria recipe for a 1:1 mix of tangerine juice and water mixed with a 1/4 cup of lemon juice! Empty the Emergen-C contents of 6 sachets in a large glass pitcher. Add the water to it and give it a mix. Add the juices and mix the drink until blended. Add in the fruits one at a time and then give the sangria a mix before serving. 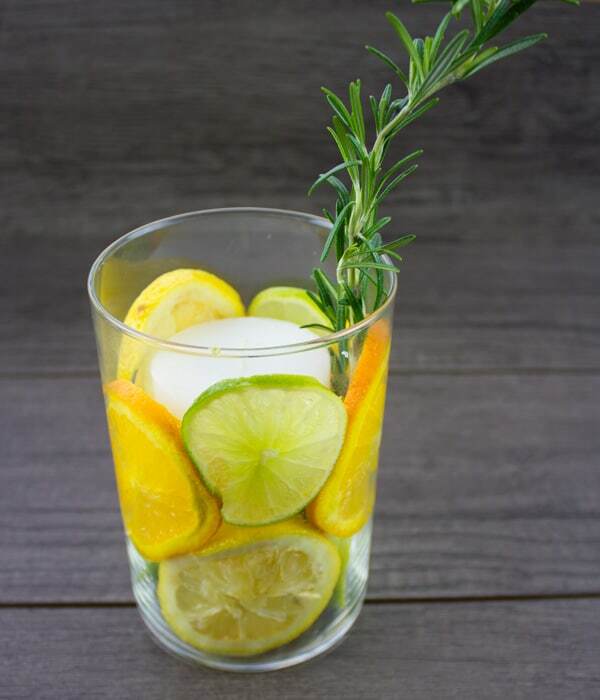 Serve the sangria with a sprig of fresh rosemary. Preheat the broiler to high. Toss the salmon with all ingredients (except broccoli) and place on a foil lied baking sheet. Broil the salmon for 8 minutes until cooked through. Let the salmon cool for a few minutes and then skewer a cube of salmon with a toothpick, and top it with a broccoli floret. Serve right away or with the sauce. To make the sauce: whisk all ingredients in a bowl and drizzle it over the salmon. What a great winter drink! I’m loving the idea of Sangria to warm up with it’s cool out. Beautiful pictures, too! Thanks Valentina! It’s really replenishing this time of year we all need that! I love the Non Alcoholic Fruity Sangria recipe. 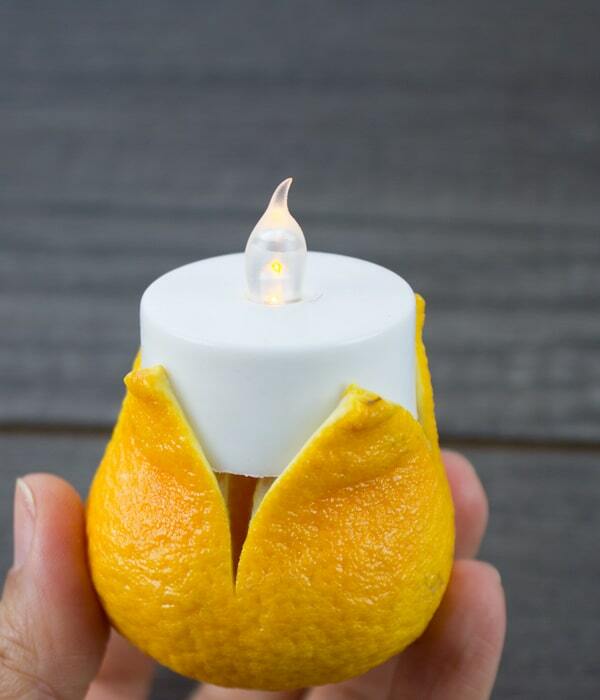 I like the idea of a candle in the orange, too. 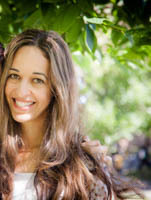 Thank you Kristine! It’s festive and good for you at the same time!